The La Gloria Cubana Medaille D’Or No.4 is a rich and creamy medium Slim Panetela, 6" (152mm) long, of 32 ring gauge, and comes in a 25 cigars box. Slightly stronger than the Medaille d’Or No.1 and the Medaille d’Or No.3, due to its bigger ring gauge allows the cigar to be both rich and smooth. 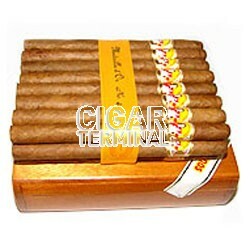 Lots of hay and never too harsh that will delight the aficionados of cigars with rich aromas. Herbal, creamy and fresh pepper. • Pleasant fruity complex taste and aftertaste. • These are very exceptional little treats. If you are able to find some - grab it and enjoy it. The wrapper is silky soft with a little oily texture to it. It is a light brown color with no veins to speak of, and the wrapper appears thin enough to see the details of the binder underneath. As cutting the triple cap and taking a cold draw, one gets a very sweet hay and grass notes with a little cedar in the background. There are similar notes coming off the foot of the cigar. Also to note the draw is perfect and not tight at all. Right from the start the cigar produces lots of smoke, while dissipating during the first third. The dominant flavors are of nuts and almonds. We can also detect some herbal notes, and some woody touches of cedar bark. The second third goes on with the same flavor profile as in the first third. Aromas of nuts, like almonds and hazelnuts and rich fresh herbal aromas dominate. As the draw becomes even better, we can now appreciate the woody notes of moist cedar bark even more. In the background also appear some leathery notes and some touches of light graham cracker. During the final third, the cigar produces even more smoke, but this doesn’t you to fully enjoy the flavors of the Medaille d’Or No.4. On top of the nutty and woody flavors, there are now notes of leather and dry fruits. The cigar also becomes hotter when it’s time to put it down. 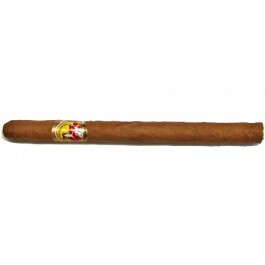 In summary, this cigar produces lots of smoke, surely due to its excellent construction. But smoked slowly (as it should be), the Medaille d’Or No.4 offers all its richness for your palate.